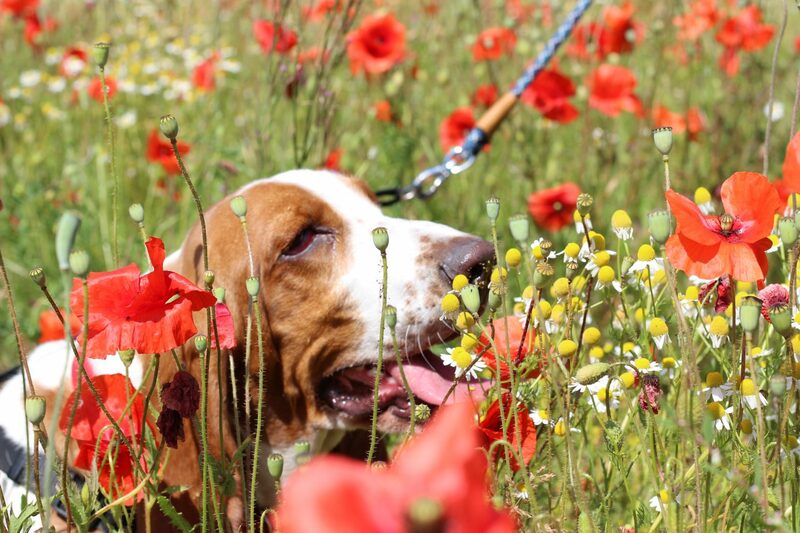 Earlier this month our basset hound, Poppy turned one! I actually can’t believe she’s one already, it only seems like two minutes ago that we still had Louis. 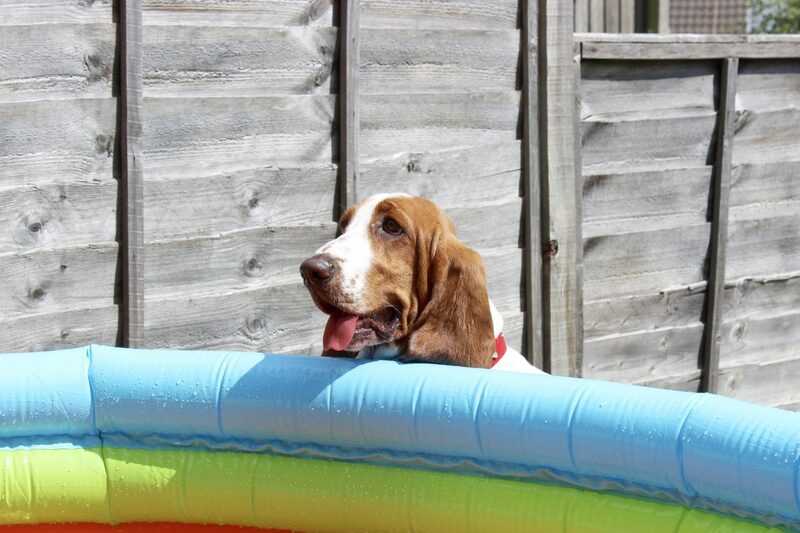 I’m not sure at what age basset hounds stop growing but she seems pretty much fully grown now. Her growth has slowed right down and she’s certainly no longer a puppy. I mentioned in my last post that she was 22kg at her last vet appointment, which was a good few months ago now. She hasn’t actually been weighed since then but I would guess that she’s around 26kg, if not more. She is a whopper! Poppy is really strong and heavy and that can make walking her quite difficult. Of course because of her breed, her instinct is to want to sniff everything. And when I say everything, I mean everything. Walks are usually painfully slow and often involve me just pulling her along to get her to move. 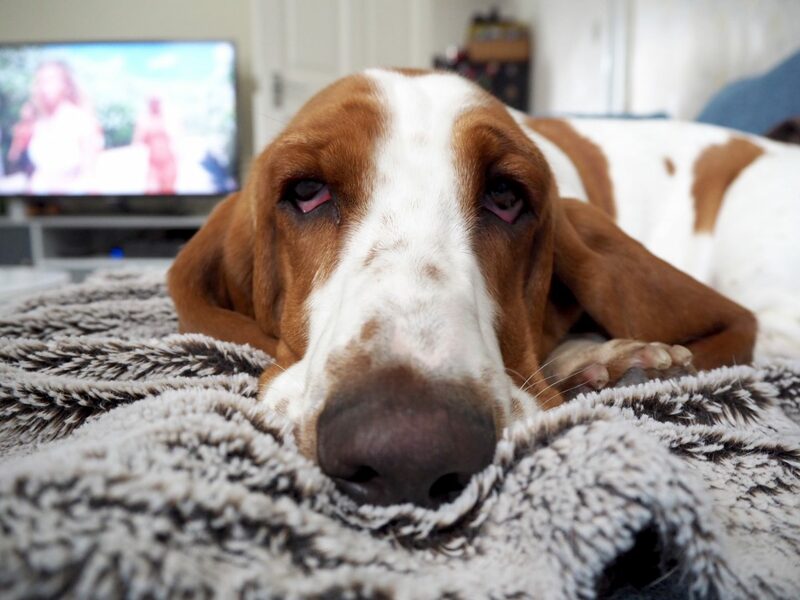 We have thought about hiring a dog trainer to help us out with walks, but I think for now we have resigned ourselves to the fact that this is just part and parcel of owning a basset. We had hoped to have had her spayed by now, but unfortunately we still haven’t got round to it. She came into season for the first time back in February, so another one may well be imminent. We had wanted her to have the operation before her second season. We have a busy few weeks coming up but are still hoping to get that booked in during August and fingers crossed it will be done before she comes into season again. Because to be completely honest, I’d rather not have to deal with that again! I received an email from the lady that we got Poppy from recently and she asked if we’d like to get together with the dogs at some point. I literally couldn’t have replied any quicker! She has Poppy’s mum and two of her siblings, so it will be so nice to get them all together and watch them play. I’m sure they will have absolutely no idea that they are related but still, it’ll be cute to see what they make of each other. I’m curious to see how Poppy compares size wise and also whether her siblings walk on the lead better. I just hope that she isn’t the naughty one, haha! Anyway, I think I’ve talked about everything there is to talk about, but if there’s anything I’ve missed leave me a comment and I will get back to you.